Do you have a problem viewing Khmer text in Firefox? 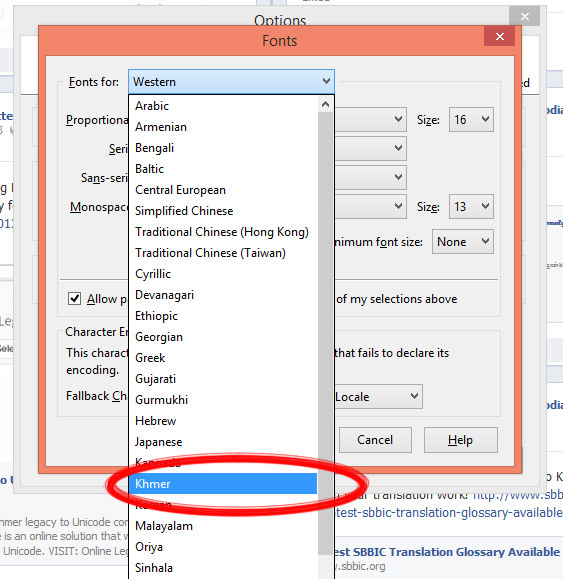 Want to know how to make Khmer Unicode display correctly in Firefox? 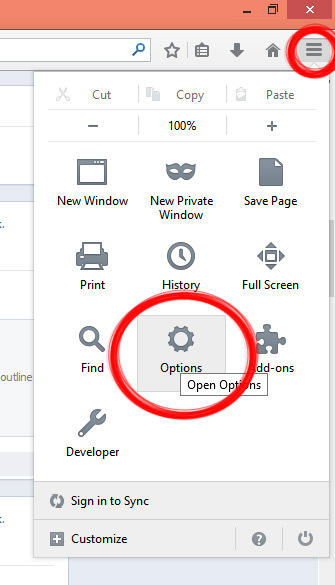 First open Firefox (we are using version 29 for this tutorial). That’s all! Now Khmer Unicode will display correctly on all websites in Firefox! While your at it, why not install our Khmer spelling checker for Firefox? I don’t have “Content ” in my option. 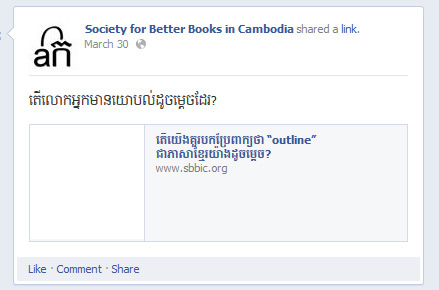 “Content” is just the name of a Khmer Unicode font. Choose any Khmer Unicode font you would like. Now, it’s working correctly in Firefox after following your instruction, but in window still the same. for example, when i rename some file the khmer fonts is too small. so How to fix this trouble? Please give me some suggestion. can i have font name “content” so it work properly on my firefox browser. 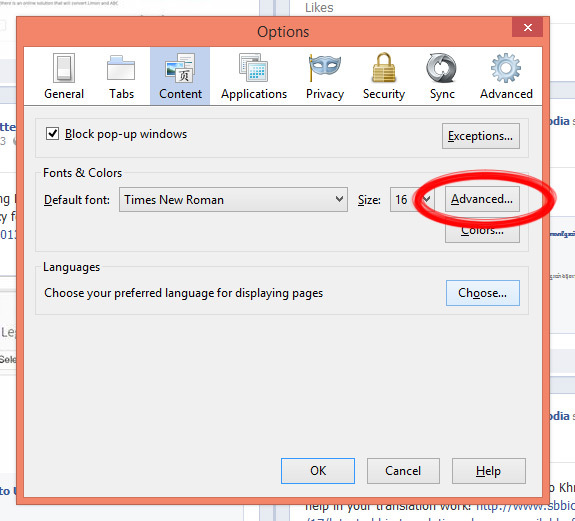 I have problem typing Unicode in excel!! It renders not conrrectly… How to fix?? Which version of Excel? And are you on Windows or Mac? Or ‘Khmer Mondulkiri’ font. They should work fine. 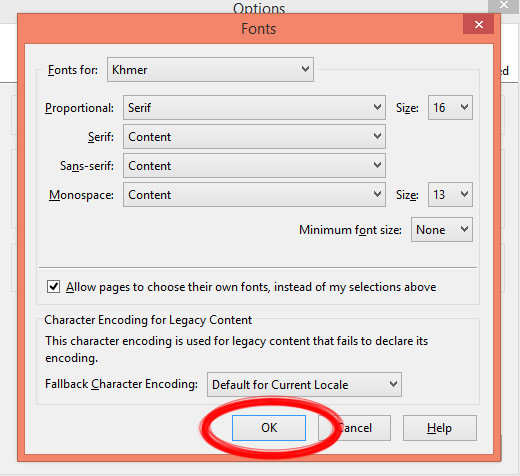 Hi admin, can you show me how to to fix khmer unicode fonts with word for mac? 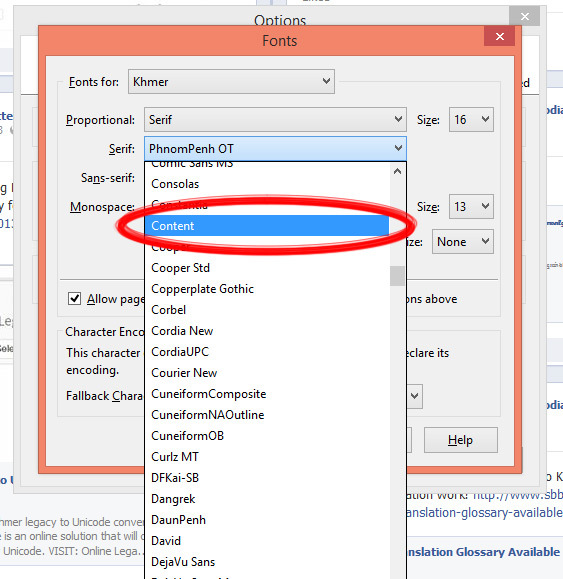 my khmer font display fine with power point and excel but not word. Please help. What version of MacOS are you on and what version of Microsoft Office? This is really great work. Thanks for your contribution to the khmer community. Thanks for your help in solving this problem. It’s very useful info!